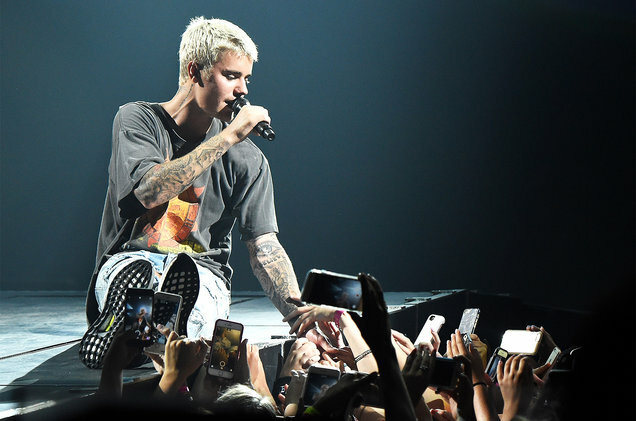 Justin Bieber performs during his "Purpose" tour at Madison Square Garden on July 18, 2016 in New York. The final numbers are in for Justin's Purpose World Tour. The trek topped $250 million in ticket sales based on the remaining box office tallies (see list, below) reported by AEG Presents, the worldwide promoter of the tour since it launched in March of 2016. The overall attendance during the tour's 16-month run surpassed 2.7 million from a total of 140 performances. On July 24, Bieber cancelled the remaining dates of the tour, just days prior to an August stadium run through North America and a final sweep through four Asian markets in September. The pop star's final appearance on the trek was ultimately a headlining turn at the British Summer Time Festival in London on July 2. The final reports from AEG, however, covered 17 performances that stretched from Latin American concerts in April to events in Asia and South Africa during May and, finally, three June headlining dates in Europe. The $50 million in revenue from these final weeks on the road land the trek in the top slot on Billboard's most recent weekly tally of Hot Tours (see list below). Among the box office highlights during the Purpose Tour, the highest-grossing venue worldwide was Mexico City's Foro Sol with $9.4 million from three sellouts in February, earlier this year. The sold ticket count at the Mexican capital city's sports and concert venue was 155,201 from all three shows combined. In the Canadian singer's home country, Toronto's Air Canada Centre claimed the top box office counts with $2.9 million from 31,482 sold seats on May 18 and 19, also during the opening leg through North America in 2016.